Osmund Bopearachchi is the Adjunct Professor of Central and South Asian Art, Archaeology, and Numismatics, University of California, Berkeley and Emeritus Director of Research of the French National Centre for Scientific Research (C.N.R.S.-E.N.S. Paris) and former Visiting Professor and Member of the Doctoral School VI of the Paris IV-Sorbonne University. Osmund Bopearachchi is a numismatist, historian and archaeologist. He has published ten books, edited six books and published 150 articles in reputed international journals. Going beyond the traditional approach of simply cataloguing coins, he has made an attempt to link numismatics with the sculptural and pictorial iconography. These attempts made him more and more interested in diverse art forms in ancient India. The exhibition catalogues that he has edited and co-authored, international colloquia that he has organised and published and numerous research articles that he has written are the outcome of his deep-seated interest in Central Asian and South Asian archaeology, art and architecture. Prof. Bopearachchi holds a B.A. from the University of Kelaniya (Sri Lanka), and B.A. honors, (M.A. ), M.Phil., Ph.D. all with first class passes from the Paris I-Sorbonne University, and a Higher Doctorate (Habilitation) from the Paris IV-Sorbonne University. 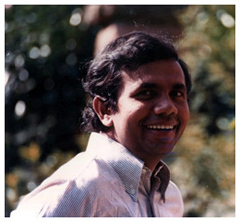 Prof. Bopearachchi currently serves as the director of the Sri Lanka-French Archaeological Mission, and also has launched a joint project with the Department of Near-Eastern Studies of the University of California at Berkeley focusing on Sri Lanka’s role in ancient maritime trade in the Indian Ocean. At present he is working on a new catalogue of Graeco-Bactrian and Indo-Greek Coins, as well as the publication of a selection of hitherto unknown masterpieces from Gandhāra and Greater Gandhāra dispersed in museums and private collections in Japan, Europe, Canada and United States of America. Trade is understood mainly as the transfer and exchange of commodities to make profits, and this was also the driving force of economic activities in ancient time. However, as revealed by epigraphic and literary evidence, among the earliest donors and important patrons of Buddhist establishments in South and South-East Asia were caravan merchants and wealthy seafaring traders. The spread of Buddhism from South Asia to Southeast Asia is also closely connected with the growth of a trading network that facilitated the movement of Buddhist merchants, traveling monks and teachers. The resources needed to build gigantic religious monuments in South and South-East Asia would thus have come from both the royal patronage as well as from the devout mercantile classes. Their wealth was based on the flourishing inland and international trade centers located in the ports along the coast and navigable river. 45 rue d’Ulm, 75005 Paris, France. Fax :(33 - 1) 44 32 30 60.